If you're into state pride, it's a good year to be from Illinois. 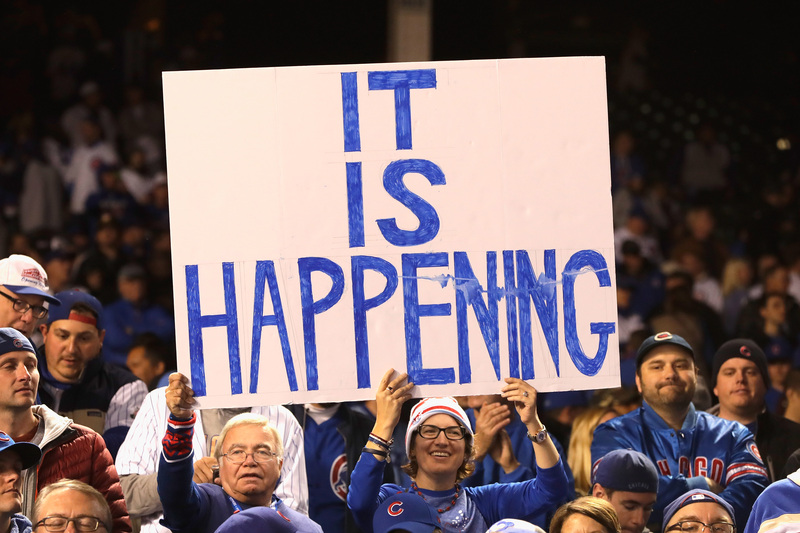 The Chicago Cubs are won the World Series for the first time in over a century, and Illinois native Hillary Clinton will likely win Illinois and its 20 electoral votes on Nov. 8. Moreover, Clinton may possibly become the first female president by the night's end. Clinton has not always had an easy time in the Prairie State. She won a narrower-than-expected primary victory in Illinois, where voters were apparently displeased with her ties to Rahm Emmanuel, Chicago's deeply unpopular mayor. The Chicago Tribune broke with nearly every other major paper in the country, endorsing Libertarian candidate Gary Johnson over Clinton this year. Despite this, at different points in the election, Clinton has led both Trump and Johnson in Illinois by as much as 25 percent. At the time of writing, according to RealClearPolitics, she had +16 advantage, indicating that she is likely to win the state. After all, she has arguably the most important Illinois endorsement. President Barack Obama, who has enthusiastically endorsed Clinton, got his political start in Illinois, where he remains popular, given his 16-point victory there over Republican nominee Mitt Romney in 2012. Nor are many Chicagoans willing even to consider a Trump vote; his mere presence in the Windy City caused a now-infamous eruption of protests last March. Although the presidential race seems all but certain, Illinois is still a state to watch on Election night, because it could make a big difference in terms of whether Democrats are able to take control of the Senate. Disabled war veteran and U.S. Rep. Tammy Duckworth is running for the Illinois senate seat against incumbent Republican Mark Kirk. She earned national attention and acclaim by pressuring the Senate and the House to take stronger action on gun control after the Pulse shooting last June, and his seat is considered the most vulnerable of all GOP seats up for reelection. Can she win? The political makeup of Illinois is fairly similar to many other Midwestern states that skew blue: strong Democratic support in urban and suburban regions, with widespread Republican support in the less populous rural areas. Overall, her chances look good—she has held a lean but consistent polling lead for months. And all this was before Thursday night. During a debate, Senator Kirk refused to believe that Duckworth's ancestors fought in the American revolution because she was of Asian ancestry: "I had forgotten that your parents came all the way from Thailand to fight for George Washington." Who knows how far Duckworth's career will go? Illinois, the state that produced Barack Obama and Hillary Clinton, may soon add a third name to its list of Democratic presidential candidates.